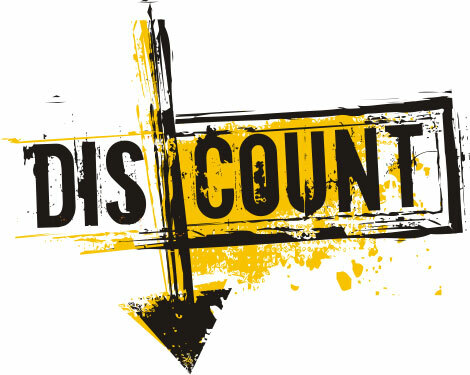 Discount Flooring – how to spot a deal? Anytime someone things of flooring the very idea gets people into a cold sweat. Buying flooring can be frustrating and confusing when it comes to style and design, but once you add in the financial component of the floor buying process frustration can often turn to misery. The one way to add a ray of light on this otherwise dreary process is to get a good deal. Finding discount flooring is not hard to do, but it sometimes helps to see the world from an experienced perspective. First, land based retail stores have higher overhead than big box retailers and e-commerce companies. Big Box has worse service than land based traditional flooring stores. E-commerce makes it a challenge to see samples making the decision process murky. 1. Order Samples online – expect to pay a buck or two per sample – but ask for that money back when you order from the company. 2. Select from the samples after reviewing them in your home over 1 full day in different lights. 3. Make sure to ask about any coupons, shipping offers or discounts available if you purchase that day. 4. Check your order immediately when it arrives to proactively communicate in the event of any shipping headaches. It is estimated close to 5 million people have purchased flooring online in the last 10 years. That number continues to increase because of the advantages online. As always risks come with any process so find someone you can trust. Discount Flooring Option 1: Floorshop.com – one of the oldest online flooring stores. Discount Flooring Option 2: iFLOOR.com – One of the largest online flooring stores. Discount Flooring Option 3: DIYFLOORING.com – specializing in DIY friendly flooring choices. Discount Flooring Option 4: HomeImporters.com – Different Niches for factory direct price. Discount Flooring Accessories: Underyoo.com – The finest brand of flooring underlayment. Cork flooring is generally something consumers and even contractors and designers are unfamiliar with depsite it being used for over 100 years across the United States and Europe. 1. Cork is softer under your feet than other flooring leading to less fatigue. 2. Cork is quieter than other flooring naturally absorbing sound while feeling great. 3. Cork is resilient and can be very tough if properly well maintained – even in some commercial flooring situations. 1. Cork Flooring’s look, while viewed as distinctive and unique by many, is often seen by others as a turn off and not a viable option. So this aspect of cork flooring is both a PRO and a CON. 2. Cork Flooring can gouge easier than some other flooring options and nothing should be dragged across the flooring. 3. Cork can change color (typically fade) when exposed to lots of light. This is a natural reaction to light (especially bright direct sunlight) that happens to natural cork flooring and not a defect. Cork flooring has a series of PRO’s and CON’s that are outside of these top 3 – but these factors should be considered when shopping for cork floors. The best value laminate flooring choices are rarely those floors that are advertised for 59 cents per foot. Those lost leader items often are not built to last, but built to offer a nice look for a cheap price. If you have ever walked through an IKEA that has had a laminate floor installed for a 6-12 months you can see how terrible those cheap floors hold up over time. The best value laminates are most often those in the $2-$3 per foot range which have a series of features and benefits that are impossible to see, but are there nonetheless. Some of these features include a higher density fiber board core, which will resist moisture without polluting your home with formaldehyde – a known cancer causing carcinogen. Do you think logically the core in the 89 laminate is the same quality standard as the core on a $3.00 laminate? The grams of aluminium oxide are also very critical to a tough wear surface. Ratings of AC2 are for lower wear areas and may be fine for a bedroom or non-critical areas, but having AC3 or AC4 is better and more durable for the long run. Surface effects like handscraping, high gloss, easier cleaning and so much more are all a part of these better quality floors. There are countless other factors that are important, but are so technically boring that it is not important to list them. It’s just important that you understand they exist. Maybe it is true that you get what you pay for, but there is one exception: Brand names will charge a premium for their flooring that probably adds another $1-$2 per foot. So just because you see a laminate floor that is $5.00 per foot doesn’t automatically make it better. Brands have to support their marketing investments and often they sell to a distributor who sells to a retailer who sells to you. (sometimes there is even another buying group/agent middleman in there!) All that that inflates the price without adding value. Finally there is a margin expectation in a store that is higher than alternative sources like the Internet. A store which often buys from the 2-4 step supply chain and then still needs a 50% margin will have a much higher price on the exact item than a more direct seller. People who have flooring (which is most of us who don’t live on dirt floors) often make some basic mistakes that later cause problems for their flooring that were preventable. 1. When selecting a flooring it is critical that the usage of the floor is consistent with the flooring capabilities. For example selecting a cheap builder grade laminate floor and putting it in a commercial bank lobby will only lead to problems. Simialarly you must consider environmental restrictions or other cautions with the specific product you put in (low humidity and radiant heat capatible?) to be sure that you aren’t voiding your warranty before you start. 2. Set your own expectations clearly to the flooring provider so that they can guide you toward something that meets those expectations. Sometimes your expectations are higher than your budget may allow so it may be important to reset those before making a final flooring selection. 1. Do I really need to sand the floor or is a recoat an option. A recoat is a less expensive, no sanding and faster option that is appropriate for many situations. Finding out if a recoat will give you that fresh feeling is an important first step. 2. Select your stain ahead of time, but have the crew sand and show you a larger sample as they begin the job (at least a 4’x4′ area) so that you can double check your own choice. Larger samples in the actual room are often very different than small swatches. 3. Onsite finishing is not like a factory finish. Be prepared that you may see some swirl marks under direct lighting from the buffer that is used between coats. Set reasonable expectations going in. Although Swedish Finish which basically means site finished can be a great process it is not like a factory sealed environment. Cork Flooring has been a flooring choice for over 100 years, yet few people know very much about it. 1) Cork is resilient – that means it is inherently tough. 2) Cork is hypoallergenic – that means it is good for people with allergies. 3) Cork is unique visually – that means you will either hate it or love it. 5) Cork is very affordable – prices vary by pattern – but the prices that are available on Cork Flooring at http://www.corkimporters.com are very compelling. 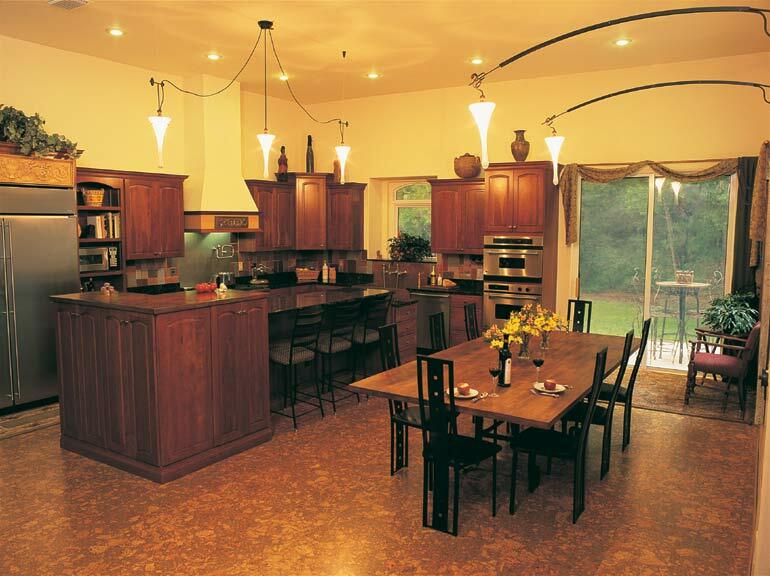 All of those reasons together makes cork flooring a great choice for kitchens, family rooms, offices and more. The only caveat on cork is that if your finish starts to wear then you should recoat the floor with a hardwood flooring finish to insure a long life span. The other note is that bright direct sunlight can cause cork to fade which is not a huge issue, but you should at least be aware of it. Due to the recent government regulations (translation: incompetent beaurocrats fueled by self interested giant US based conglomerates-yes Warren Buffet, your company is involved) the anti-dumping and counterveiling duty for engineered hardwood flooring looks like it will make a large leap upward. Although the results are not yet final the speculation is a range of 50% duty to 237% duty added to the cost of imported engineered hardwood flooring that is made in china and imported in the USA. The funny part: products imported from other countries like Vietnam, Brazil, Ukraine, Portugal, Malaysia and any country besides China are not subject to these new fees. Therefore the net effect will only be disruption and probably a net cost increase overall, but not 50%-200%. If you are planning on buying engineered hardwood anytime in the next 12 months now is the time to act before all of these disruptions get priced into the market. After about 12 months it will all settle down and should be a more realistic price level.